Only Griffin King sees the magical darkness inside her that makes Finley special – makes her one of them. The orphaned duke takes her in from the gaslit streets against the wishes of his band of misfits: Emily, who has her own special abilities; Sam, who is part robot; and Jasper, an American cowboy with a shadowy secret. Griffin’s investigating a criminal called The Machinist – the mastermind behind several recent crimes by automatons. Finley thinks she can help – and finally be a part of something. From the first page I knew I wasn’t putting this book down until I finished it. 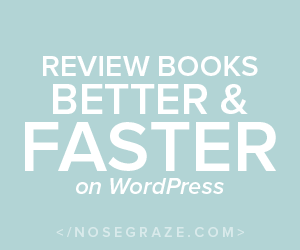 The characters in the book are impressively realistic and driven by motivations that I completely understood. I was emotionally invested in them from the first chapter, which describes the strange powers that Finely has. It is easy to sympathise with all of the characters, from Griffin, who needs to capture criminals so he can find his parents’ murderer, to Emily who is a very smart young lady (and stands out in her time), and Finely, who just wants to know who she is. Their adventures had me on tenterhooks the whole time I was reading! The plot is fast paced but easy to understand, and has all the makings of a good mystery. Interspersed with in it are the sweet love stories that add heart to the book – Emily and Sam’s story is my favourite because they’re both so clueless about one another’s feelings – and character building moments – how human is someone if their arm, skull and even heart are mechanical. The world building in the book lets it down a little because it seems really weird that Finley and Emily are allowed to be around Sam and Griffin so much without proper chaperones and there are a lot of modern conveniences in the book that shouldn’t be there. For the first point, the “I’m a Duke and I can do what I want” outlook Griffin has probably rings true, but I still find it hard to believe his legal guardian would give him a free reign. For the second, Aether – driven machines comprise much of the technology in Griffin’s world, but when I read about him ‘searching’ the Aether for information and then ‘printing’ it out it was too much for me. That’s the Internet people. I did, however, like the idea of the Organites and the thought that went into creating the concept. I was sad when I turned the very last page of this book at 3 am because I knew I had to sleep and couldn’t open up the sequel. 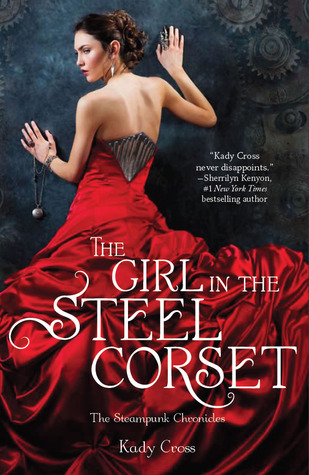 The Girl in the Steel Corset is everything I expect from a quality novel and I loved it!